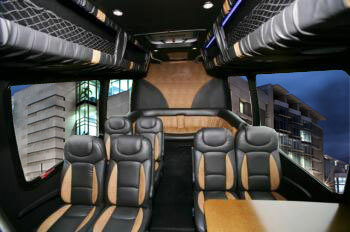 Large groups or small, Kangaroo Coach has the right well- appointed vehicle for any corporate occasion. We take pride in being able to work closely with event planners to assure that every transportation contingency is considered by our experienced staff. Whether it's a once-in-a-lifetime event with family and friends or an occasional fun excursion with yourgroup, Kangaroo Coach wants to make sure you have time to savor the moment. A wedding or 25th anniversary? Let us take you and your guests to that perfect location. Special shopping trip? SHOP DON'T DROP! We will take your group to the door and pick you up at the appointed hour in avehicle with ample space for all your prized bargains. And time to brag in relaxed comfort about them. 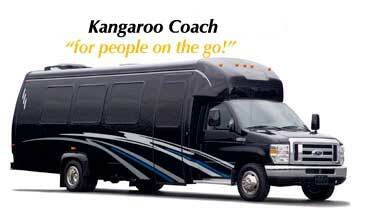 Kangaroo Coach can provide shuttles up to 24 hours a day in a complete variety of sizes and styles for a weekend, weeklong or 52 weeks a year. Whatever your organization needs, we have it covered at an affordable price.